Squirrels are at their most active in the fall, and will produce unintended consequences come spring. 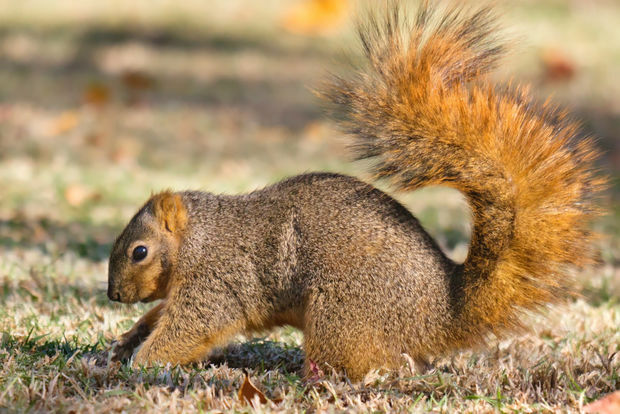 EDITOR'S NOTE: We dug up this story from last year about squirrels' nutty behavior. LINCOLN SQUARE — If it seems like squirrels are behaving more manic than usual these days, blame it on fall. Acorns, which form the foundation of a squirrel's diet, tend to hit the ground in September and October. That's when the critters' instincts kick into overdrive and they start obsessively socking away food before winter hits. Instead of building up a single large stockpile, the gray squirrels common to Chicago opt for "scatter hoarding," pawing thousands of holes as they bury each nut individually. In areas where squirrels face stiff competition for limited resources, scientists have observed that the rodents will even fake hide nuts in an attempt to outwit each other. Turns out, squirrels are a little too clever for their own good. They can't find three-quarters of their buried treasure. And that's how forests grow: Those misplaced acorns will sprout into oaks.